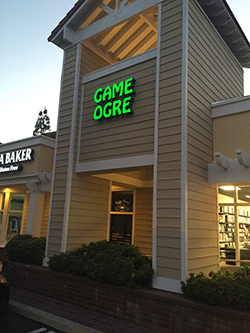 The Game Ogre - Boardgames, Chess, Miniature Wargaming, Magic the Gathering and more! Welcome to the Game Ogre! We are located in Westlake Village, California. 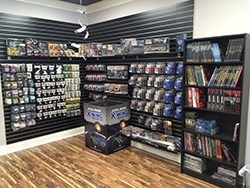 Whether it's the need to unload a bolter in Warhammer 40K or the urge to pit against other warcasters in Warmachine or the need to become a general for the allies in Flames of War our store is here to provide you the opportunity play out those glorious battles on the table top. Maybe dueling as a planeswalker in Magic the Gathering is more of your forte? Or maybe taking on a role of a cunning rogue in Dungeons and Dragons is something that interests you more? Well, we have it all here! 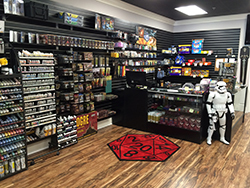 Our staff are gamers, painters, and hobbyists and are passionate about what we do! 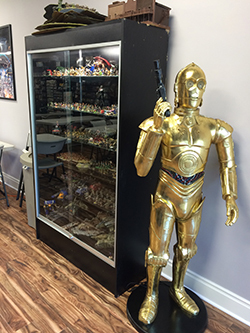 It's not uncommon to walk in and see of our staff and customers talking about painting miniatures or having a heated discussion about advanced tactics for wargaming or collectable card games like Magic the Gathering. 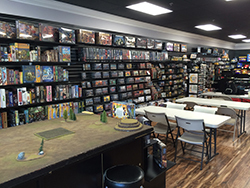 Our store runs countless games nights, tournaments, hobby clinics and beginners games that you are more than welcome to join. It's fun, free and a great way to have fun and meet new friends so feel free to drop on by!